The Cities in Transition project was developed at Beloit College to help study abroad students escape the “bubbles” or foreign student communities that are often a feature of the study abroad experience. Such bubbles often increase the difficulty of making meaningful connections with the study abroad host site. The larger aim of the project, however, is to maximize study abroad’s learning potential by giving the students the tools that are needed for intercultural and experiential learning. Depending on the course location, volunteering or self-designed projects enable students to deepen their engagement with their host cities around topics of immediate interest to them. The two host institutions for the China programs are Henan University in Kaifeng, and Shandong University in Jinan. 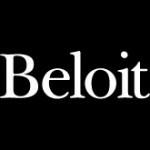 The Cities in Transition project was developed at Beloit College to help study abroad students escape the “bubbles” or foreign student communities that are often a feature of the study abroad experience. Such bubbles often increase the difficulty of making meaningful connections with the study abroad host site. The larger aim of the project, however, is to maximize study abroad’s learning potential by giving the students the tools that are needed for intercultural and experiential learning. Depending on the course location, volunteering or self-designed projects enable students to deepen their engagement with their host cities around topics of immediate interest to them.